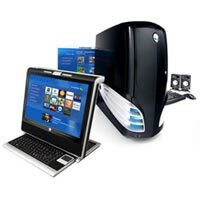 PC Printer Repair, Dallas Home PC Service, Software Deployment, Oak Cliff Dallas Computer Hardware Repair, Networking, Dell PC Repair Service in Oak Cliff Dallas, TX, Microsoft, Virus Software, Disaster Recovery Planning, PC PC Repair in Oak Cliff Dallas, Texas, Hardware, Computer Repair And Service, Dallas Network Repair Company, and Computer Consulting in Dallas, TX. Large corporations generally have extensive disaster recovery and contingency plans in place to protect their company from the effects of major interruptions to the day-to-day operation of their businesses. Corporations can afford duplicate data center locations for their data storage, alternative office locations for their employees and other large scale disaster recovery strategies. They depend on having the planning and procedures in place to best prepare them in case of an emergency so their business continues operating as successfully as possible. Small businesses on the other hand tend to feel that they can't afford to invest in disaster recovery planning due to time and financial limitations. Their view is generally that they will take the risk and save money and hope nothing serious happens to interrupt their business activities. The reality is however that there are many steps a small business can and should take to safeguard their business, without a major financial investment. There are steps that even a home based business can take to protect their business data against loss and disruption with spending a bundle. The statistic is well known but no less shocking for that: 80 per cent of businesses that suffer a major disruption fail within 18 months, as their customers go elsewhere. Some things are best not left to chance and need to be planned, carefully implemented and tested. There are risks everywhere, be it risk of flood, loss of power, theft, hardware failure or virus infection. Your business is reliant on its IT infrastructure and needs to ensure that you can recover your systems and data in the event of any disaster, quickly and with minimal disruption. Something as simple as having a routine procedure for creating back-ups and storing them off-site, can provide a first layer of protection against a major loss of important company data. So what is disaster recovery? What is business continuity? Disaster recovery is the “methodical preparation and execution of all the steps that will be needed to recover from a disaster quickly”. Business continuity is designed to ensure that: “certain business functions continue to operate in spite of disasters striking a business”. Metroplex Tech can help review the requirements your business has in terms of being able to keep operating under adverse conditions. We can help you understand the costs associated with the various options available and find the most affordable solution for your specific needs. Once an option is decided on we can deploy the selected solution or define the required procedures to enable the solution so your business can be prepared and you can have peace of mind. Metroplex Tech offer a full range of disaster recover plans and services for the small business. Don't leave it to chance, leave it to us! Metroplex Tech business continuity and recovery services combine proven business and technological expertise with exceptional service. We provide customer-focused, cost-effective technology solutions to keep your business up and running. These services include identifying your companies potential vulnerabilities, assessing the impact an outage will have to your business, developing a comprehensive strategy and implementing an end-to-end plan to manage the risk and recover quickly, if an emergency arises.